The book presents a picture of rapid economic growth and population explosion since the industrial revolution got under way in Britain and spread into Europe and America. But it’s an uneven growth and many countries have barely experienced it, not least, Sachs suggests, because of western colonialism which was more interested in the exploitation of the colonies than in their participation in economic development. Addressing this lag in development and the extreme poverty which often attends it is a primary task for development practitioners. Sachs dismisses sweeping simplistic diagnoses (corruption) or prescriptions (cut government spending) or referrals (to the IMF) and instead urges diagnoses that are accurate and effective for the conditions, history, geography, culture, and economic structure of the countries in question. Many countries are caught in poverty traps through no fault of their own and the aim is to assist them out of that and on to the first rungs of the development ladder. Sachs is also alert to the relative poverty within developed countries, including the indigenous societies and other ethnic minority groups neglected in the economic development of the societies in which they are placed. Social justice is integral to the concept of development in his book. 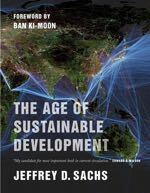 Turning to the question of environmental boundaries Sachs asks whether a world that is prosperous and socially inclusive can also be environmentally sustainable. He argues that with careful and science-based attention to growing environmental threats we can harmonise growth and sustainability. That’s not the “balance” that our own government so glibly claims to be achieving between growth and environmental protection. Sachs aims at a full recognition of environmental boundaries. Not that it’s an easy task. Sachs describes it as an economic problem beyond comparison with any other, for several reasons the toughest policy problem humanity has ever faced. Climate change is a global crisis, meaning the whole world must be mobilised. It is also an inter-generational crisis and humanity is not good at confronting longer-term challenges. It means forsaking the fossil fuels on which the success of modern economic growth has depended. The crisis is slow-moving, making it difficult to sense urgency. The solutions are operationally complex, covering a wide range of changes. Finally, the energy sector is home to the world’s most powerful companies whose lobbying clout is not directed towards climate solutions. Against this list one wonders that Sachs finds any confidence, but he works his way through the technologies which exist to enable the transition away from fossil fuels, and concludes that the world has climate solutions but that what it lacks is the time for further delay. Climate change is only one of the environmental issues he confronts. He is equally rigorous on species extinction and the loss of biodiversity, on the capacity to grow food for a still rapidly expanding population, on ocean acidification and a range of other threats. In this context he advances the importance of the Sustainable Development Goals (SDG) to be put for adoption to the UN General Assembly this year to cover the period up to 2030, taking the place of the Millennium Development Goals (MDG) adopted in 2000. The MDG were mainly focused on poor countries, but the SDG will have universal application, and Sachs sees them as offering a sense of common direction to individuals, organisations, and governments all over the world. Ideas count. Sachs sees that as his most important message. If it seems a frail defence against the inequality and environmental heedlessness which characterises much of our activity it is nevertheless one he stoutly defends. Ideas can have an effect on public policy far beyond anything that can be imagined by the hard-bitten cynics, he claims. Look at the powerful and embedded economic institution of slavery eventually overcome by the ideas and morality of the anti-slavery campaigners. Consider Ghandi’s lead in helping to end colonialism. Think of the Universal Declaration of Human Rights, of Martin Luther King, of women’s rights. So there’s something of the moral idealist underneath all the marshalling of economic facts and figures and the unflinching analysis of environmental threats which Sachs’ book contains. A stance I find much preferable to the complacent acceptance of the existing order which is still all too manifest in government and business and which bodes nothing short of disaster before the century is out. An interesting and very dangerous aspect of the TTIP “free trade” treaty that National is pushing for is the loss of sovereignty that is part of this. This will very likely have severe consequences for countries wishing to elect policies that restrict carbon emissions or fossil fuel extractions, as any such policy is likely on a collision course with short to medium term profit interests of affected multi-national companies. A good example of how cynical this will play itself out is the sad case of the French water company Veolia (yes it is the business from which many communities in NZ “buy” our own water…) suing the government of Egypt under TTIP regulations over the establishment of a minimum wage!! If under TTIP governments are no longer free to establish social policy such as minimum wages without extensive legal battles and risks of significant penalties to multinationals over “lost profits”, then what is the prospect of legislating emissions or fossil fuel extraction or any other case where sustainable development is confronted with shareholder greed of the 1%? This is one of the main reasons that we must in my mind reject the TTIP. It is bad enough already that every time we open our water faucet in Whykickamookau New Zealand, some change is tingling into the pockets of before mentioned Veolia shareholders across the globe! What a travesty! There is an article on the United Nations development goals in the Economist dated march 28 – April 3. There has been good progress on some goals like better drinking water, others like infant and maternal mortality have had less progress. While the UN has limited direct power itself, simply having these gaols seems to have shamed some countries into making progress. There is a discussion of climate change goals as well. That’s if the TPPA allows us to have such things. I mean we mustn’t offend the corporate sector. The problem of course would be to get Governments to acknowledge that there are costs beyond the immediate economics, costs that clearly will be difficult to define, like loss of commons, pollution, sea level rise, etc. Still, there would be nothing quite as effective as being sued by a Multicorp to sharpen their focus. Interesting reading. I don’t think that suing corporations for damages done by their practice will become any easier under the TTIP and similar agreements. Conversely however, the corporate enterprises have established a new system of legal arbitration outside of the usual legal systems established by and accountable too our democratic systems. Not only that, the provisions of the TTIP in case of NZ are not even made available to our parliament before our elected representatives are asked to “agree” to it. These deals are as George Monbiot says, a full frontal attack on our democratic sovereign powers and establish a new tier of law just for the 0.01% who have control and ownership over the international juggernaut corporations who benefit from these treaties immensely. It establishes a system under which it will be much more difficult to advance environmental regulations since the cost will be rolled entirely onto the governments (read tax payers) through these back room dealings. The TPPA gets worse Thomas. Ratification is not by parliamentary vote, it is purely a cabinet decision. Treaties and trade agreements etc are decided by cabinet.Thanks for the links. Jane Kelsey has done some articles in the Herald on the TPPA. The following is from the Herald March 27. This is quite a good one that has some specific detail leaked from the TPPA, discussion of investor dispute tribunals, and examples of corporate action against governments in Canada and elsewhere. Europe has rejected these tribunals as being too remote, closed and secretive with no right of appeal. There are also questions about the bias and vested interests of some people who have served on the tribunals. The TPPA seems to be handing a great deal of power to corporate and elitist interests, and seems to weaken the public good. I suspect our government will be much more reluctant to pass any law that has even the slightest chance of upsetting some global corporate given their power and our reliance on them. This could all have a chilling effect on legislation relating to things like the environment, smoking, foreign investment or employment rights. In a democratic system, If any deal, communication, financial statement or other matter requiring decision is before me, or before a committee of which I am part, is secret or anoanymous, it does not exist, cannot be upheld or complied with.or responded to. I have always found this policy of mine totally effective where I have had a say. Hence I will not be able to recognise any outcome of TPIP which I as a citizen have not been part of, i.e. any secret agreements. No vote for TPIP in Parliament under those conditions can stand. Somewhere way back in my life I read predictions about energy and oil interests. I paraphrase as I do not recall exact words with accuracy: “they will oppose any developments that threaten their profits and power”, “humanity will have to learn to detect lies – selfish intent is a good test” .. Refering to interlocking directorates as “The forces of darkness”: No country is free of their attempted control”. What an excellent example in TPIP? It is compelling stuff, you’ll certainly learn a bit about Jordan, and there are a couple of much too short voice music clips near the beginning and end of the “edited on a cardbord box” section starting about 5 minutes in. They already get 50°C in summer. Where is the demonstratively successful permaculture in Jordan going to go when global warming makes the area uninhabitable. Nevertheless the examples of self sustainable soil management are inspiring. I have noted the fervour of soil biologists and their propensity for extravagent mission statements “All the world’s problems can be solved in a garden”. However, Lawson goes on to say that the “problems” are those of pollution and supply line and I infer that by “World” he is evoking the world as referenced by the would be gardener – a subjective view. 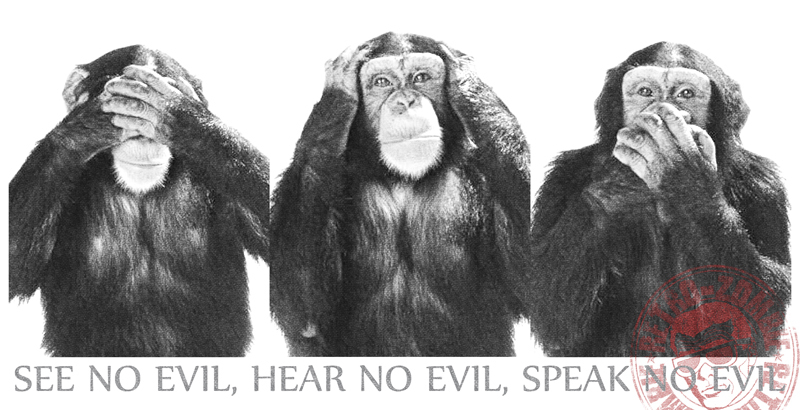 Like the proverbial three apes they simply don’t want to see, hear or speak about “it”. The nation that landed on the moon is sliding off the cliff, dragged down by an almost comical (if it was not so serious) theater of right wing dullards, logger heads and Machiavellian tricksters.